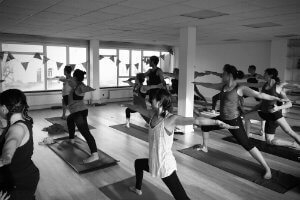 Yoga, contemplative practice, people and community. These are what we are passionate about, that move us, that keep us doing what we are doing and that makes SYL what it is. Our blog is a reflection of how we share here at SYL, the people we meet, who we invite to teach and importantly what we see as important in directing our awareness to see how we move in the world. What is a yoga studio if not somewhere you can let go from the world, find a part of you that can be nurtured and then work on that in daily life. Our articles reflect this. Hopefully some of these words resonate. 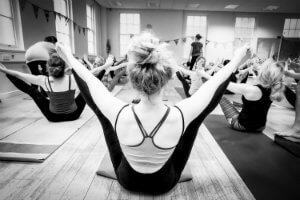 Scott reflects on how 2018 was a seminal year for Ashtanga yoga. He considers how Ashtanga can be a force for change, empowering us to move forward and creating ripples as it finds a new voice. In this month’s post, Scott explores what happens when we fall deep into a yoga or contemplative practice – how we can fall into our breath, away from our identity, and into present moment awareness. As we lean into the space that’s created, can we find a new way of seeing ourselves and the world?